Norma C. Graham was born October 24, 1923 to Edward and Kathryn (Jensen) Brittenham in Ruskin, NE. She passed from this life at the age of 94 years, 10 months, and 27 days on September 20, 2018. Norma grew up near Glasco, KS graduating high school in 1941. In 1943 she married Bill Graham traveling with him for several military assignments before settling in Miltonvale KS where she called home for over 70 years. Over the years Norma worked as secretary, bank teller, and as bookkeeper at the Miltonvale Lumber Co.
Children are a daughter Deborah Graham who died in 2011, son Steve Graham married to Walene, Miltonvale, KS and parents to Matthew and Blake. Son Tyler Graham married to Ann, Frankfort, KS and parents to Sabrina, Jessica and Tanner. Son Bruce Graham married to Michelle, Miltonvale, KS and parents to Brook, Austin and Connor. These eight grandchildren were the highlight of her life as well as her ten great grandchildren Brett, Devin, and Lauren Wanamaker, Trevor Mai, Aidan, Carter, Addy, Lola, Hunter and Harper Graham. Bill and Norma loved attending the kids sporting events, horse shows, fairs, school programs, graduations, weddings, harvest picnics, being an avid KU fan, and anything the kids were involved in! Norma was a very talented artist. She started painting on clay ceramics and advanced to painting very intricate flowers and designs on porcelain china plates, vases and boxes. True family keepsakes. Another favorite pastime was playing any kind of cards such as bridge, pitch and pinochle. There were times when her luck was running poorly and the deck of cards wound up tossed in the trash can. Norma also held a musical inclination sharing her gift as organist with the Presbyterian Church for over forty years. 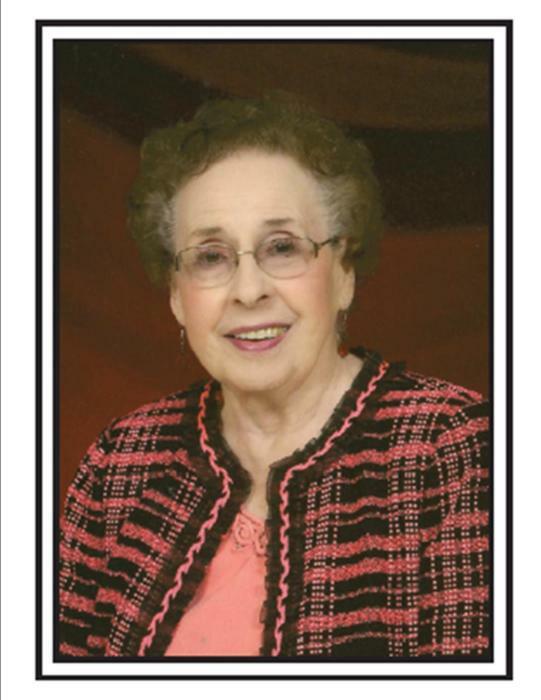 She enjoyed singing and playing with her church’s Miltones choir and played for many funerals. She was always on the go and in pursuit of yet another adventure. She and Bill went on as many trips as they could. Norma made a true effort to connect with everyone she met. Her family connections in Nebraska were important to her and she always happily anticipated these family gatherings. Speaking on behalf of the family expressing their shared feelings of love, devotion, and admiration that they all felt toward this woman in their lives, she was an incredible mother and teacher to each of them. Her sense of dignity was tested over and over in the final months of her life with a body that would not cooperate, but she kept her will to communicate her love and appreciation of each one’s presence with her to the end. There was a lot of love in this woman’s life and her legacy will live on in her family and friends. Celebration of Life will be at 2:00 PM Saturday, Sept. 29 at the F.C. Hill Memorial Wesleyan Church, 520 W Tootle Ave., Miltonvale, Kansas. Burial will follow at the Miltonvale Cemetery. Memorial Contributions can be made to: Miltonvale Manor, Miltonvale EMS or Miltonvale Friends of the Park.